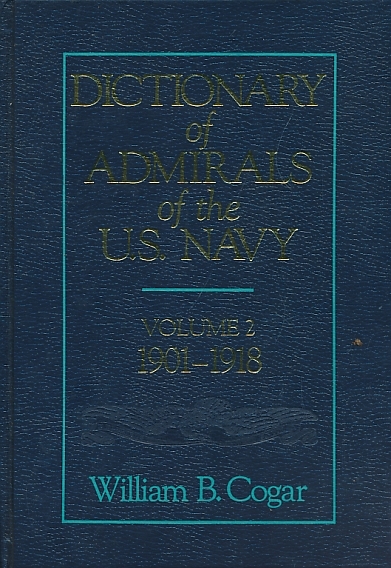 Barter Books : Cogar, William B : Dictionary of Admirals of the U.S. Navy. 2 volume set. Volume I: 1862-1900. Volume 2: 1901-1918. 260 x 180 mm (10 x 7 inches) - 217pp; 319pp. Published 1989 & 1991. ISBNs 0870214314 & 0870211951.